When the grout between your tiles is dingy and grimy, it can make the whole room look dirty. At some point, it can get so severe that a home cleaning just won’t do. 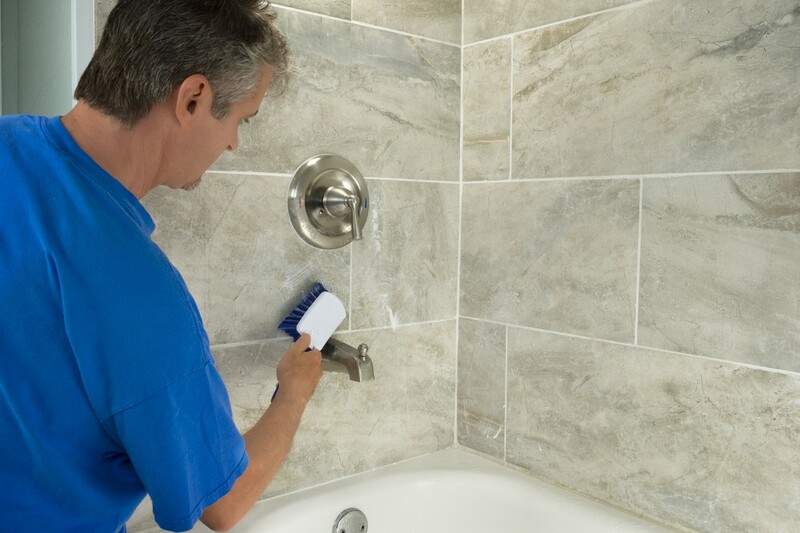 Here are three most common telltale signs that it’s time to hire a professional for your grout cleaning needs. Stained or discolored grout is the number one indicator that you need a professional cleaning. Once the porous material absorbs discoloring substances, it’s almost impossible to get it back to its original state. If you mop and scrub incessantly and still can’t see a noticeable difference, it’s time to call in the pros. Don’t make the mistake of automatically assuming you need grout replacement. This is a big job that you may be able to avoid with a good deep cleaning. Professionals have access to advanced equipmentand specialized cleaning solutions that can create results you simply can’t get with a home cleaning. A professional service team can also add color sealant, re-caulk where needed and fix any broken or damaged tiles. The grout in your shower and on the bathroom floor is particularly susceptible to staining. The warm, moist environment is a breeding ground for bacteria, mildew, and mold. When mold and mildew grow in your grout, it can cause cracks and excess wear and tear on your sealant. This opens up the possibility for moisture to get underneath the grout, leading to an array of more serious problems. The build-up of minerals from the water, soap scum, and the dirt from your body can also stain your grout. Not only does this look unsightly, it’s also unsanitary. When your tiles look filthy no matter how often you clean, it’s a clear sign that you need professional help. Unfortunately, professional tile installers sometimes fail to come back and seal your grout after it dries. This is an important step because it prevents the absorption of undesirable materials that cause staining. Properly sealed grout lasts longer and is easier to maintain. Many homeowners also don’t realize that grout sealing is not a one-time thing. In fact, it’s recommended that you seal your grout at least once a year. Always have your grout professionally cleaned before re-sealing. Are You Ready for a Grout Cleaning Estimate? Your home is one of the biggest investments you’ll ever make. It simply makes good sense to maintain it as well as possible. Professional grout cleaning is generally inexpensive, particularly when compared to the advantages and noticeable results it brings. Deciding who you’re going to allow into your home isn’t something that should be taken lightly. You want to make sure you’re getting quality work from people you can trust. That’s where we come in! Check out our customer testimonials and before and after photos. When you’re ready to move forward, simply contact us to schedule a risk-free estimate.